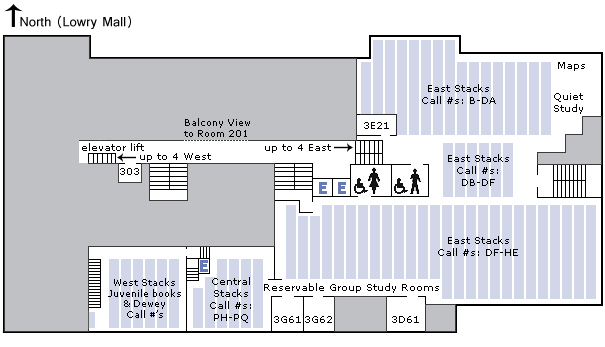 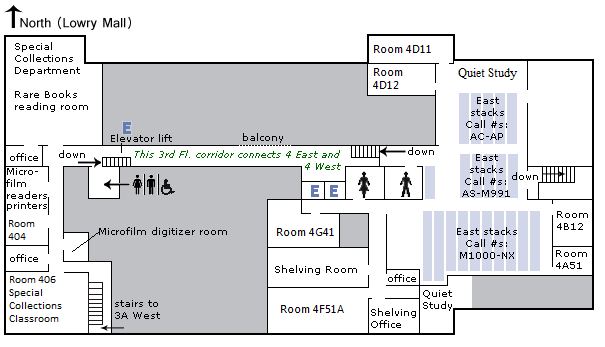 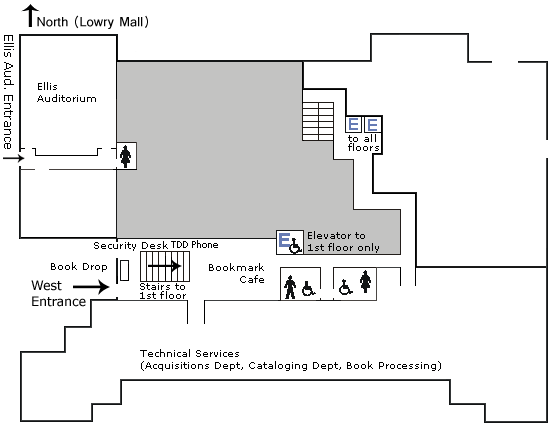 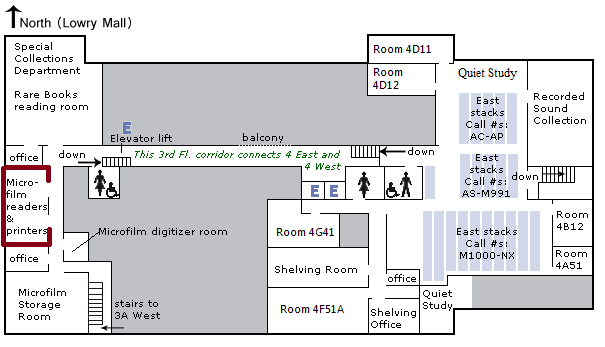 Microforms: The majority of microforms, which includes microfiche, microfilm, microcards and microprint, are housed in Special Collections, 4th floor, West. 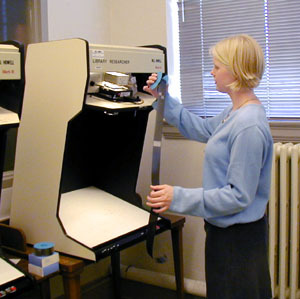 The microform collection includes newspapers, periodicals, early American and British Imprints, and medieval manuscripts. 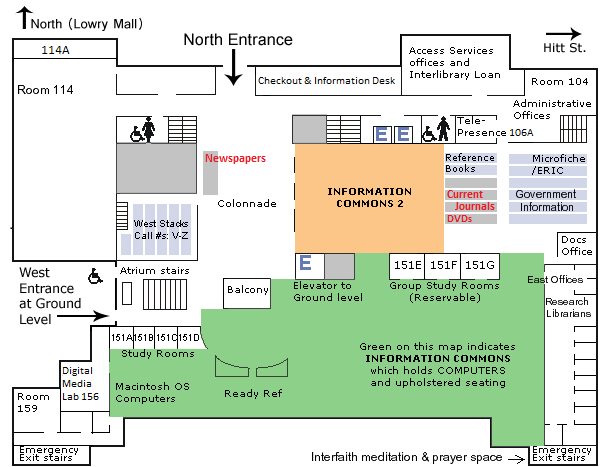 For U.S. government and United Nations microforms, please ask at the Reference Desk.